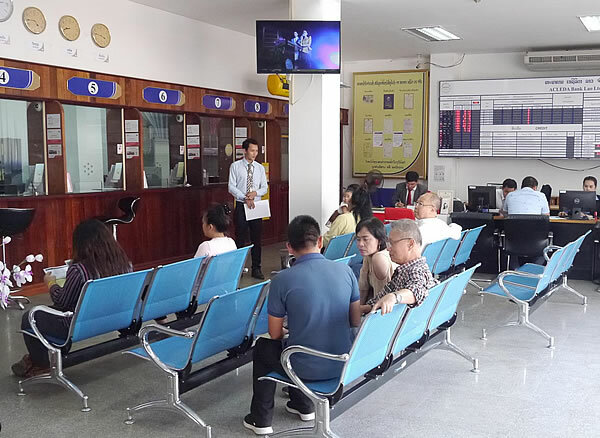 ACEDA Bank Lao Ltd. 'ABL', the bank you can trust, the bank for the people, sees the noticeable growth in 2018 with the sustainable transactions of remittances such as local transfer, oversea fund transfer and Western Union international fund transfer to over 168 countries in world and money transfer at any day, anytime, anywhere through its advance technology Mobile App, well known as "ACLEDA ThanChai", a bank in your hand. The Bank served nearly US$100 million transaction's value of remittance to the customers at all levels last year. In particular, ABL focus on the SME sectors with various types of commercial bank products and services. The bank foresees the double remittance in medium term, along with the growth of retail saving, corporate depositors, long term deposit and especially lending to the SME customer as need at qualified amounts and the medium size or larger business scale up to LAK 17 Billion or USD 2 Million each. Managing Director and CEO of ACLEDA Bank Lao Ltd., Dr. Hay SVAY, said to be the leading SME bank, we can growth together with our loyal customers. 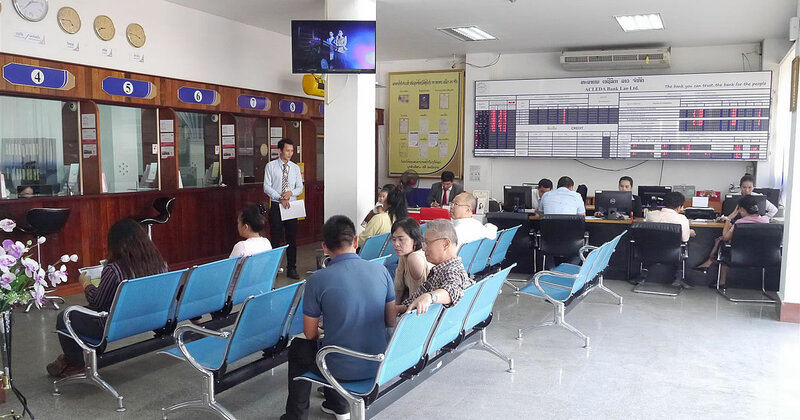 Additionally to the facility of saving and credit products, the bank has the advance technology and secure system to serve all segments of customers for various types of remittance including local money transfer within the Lao PDR, transfer trough Mobile App. ACLEDA ThanChai, oversea fund transfer to all relevant countries globally. Ms. Nittaya THIRASACK, Head of Operation Department, raise that ACLEDA Bank Lao has served the public in a fast and more convenient way our local fund transfer within province-town or from a province-town to another one in the Lao PDR and oversea remittance to over 168 countries with millions US Dollar amounts of cumulate transaction's value by the end of 2018. All customers can use the ABL's products and services in an easy way at any office nearby or use ACLEDA ThanChai, our advance digital product in mobile phone, likely customers have a bank in hand all time. "The Bank serves all customers the remittance process in a faster, efficient and transparency way", she added. Regionally, ACLEDA Group has ACLEDA Bank Plc., as parent company, and five subsidiaries operating in Cambodia, Lao PDR and Myanmar and serving remittance service worldwide. The Group has total assets about USD 6 Billion and operates in 310 branches-offices, 577 ATMs and serving over 2.6 million customers using local-overseas fund transfer and various commercial bank's products and services. Thanks to the latest technology, the FinTech product, 'ACLEDA ThanChai (in Lao PDR)' enables ACLEDA Bank Lao to serve more active customers in all segments of the community to undertake the remittance and transactions any day, anytime, anywhere.